I want to give a big THANK YOU! to the folks over at Refinery29.com! 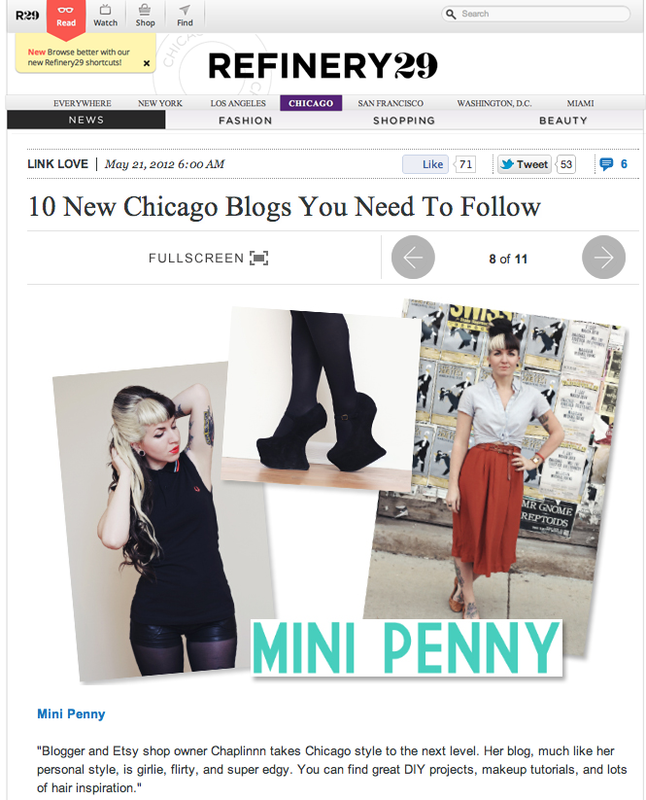 Yesterday they included me in their post regarding the 10 New Chicago Blogs You Need to Follow. As an avid Refinery29 reader, I'm hugely flattered to be part of this list. If you get the chance, check out the post — and be sure to have a look at the other nine. It's a great mix of blogs worth checking out.